Lately I have been obsessing over all sorts of design projects and decor(pinterest certainly adds to my obsessions). I've been wanting to redecorate our living room and bedroom for a while now so here are a few of my fav patterns and inspirations..
Also, have you heard of Haymarket Designs ? 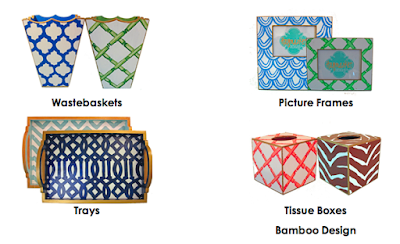 "Haymarket Designs is a chic collection of décor accessories for your home, all hand-painted. Crafted of age-old hand painted tole, Haymarket's creations have traditional, Southern style with a functional,modern edge that makes them so unique. " 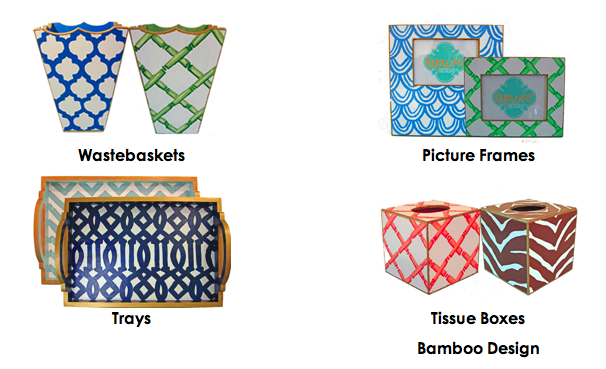 Look at all the fabulous patterns you can choose from..
most! Which pattern is your fav? Those are all great patterns! I really like chevron too. Isn't it amazing how quick it has taken off in popularity!? I am loving the zig zag patterns!! :D Beautiful! I want that Trellis pantry someday! I seriously cannot wait until I have my own house to decorate! I love all the patterns & style. Great taste! I really like the Chevron and Trellis. Who would have thought those were the names of them?! I just always liked how they looked!! Oh my goodness...I LOVE ALL OF THIS STUFF. GIRL! I don't think I could love this post any more than I do!! I am loving all of this stuff!!!! These are all fabulous! I love the Trellis pattern though! I must get my hands on something with that pattern! WOW! Love this post! I'm totally addicted to pinterest! Those are some really great patterns! I like so many of them! I like the chevron and greek key a lot!